platform models and global models in the motorcycle business segment. back of healthy sales of surface mounters for automotive applications. European economic slowdown and the US-China trade issue. marketing capabilities for sustainable long-term growth. 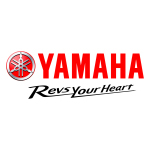 Please visit https://global.yamaha-motor.com/ir/report/.